Clinton Savage Law, 75, of Lee Co., GA died Monday, November 5, 2018 at Phoebe Putney Memorial Hospital. Funeral services will be conducted Thursday, November 8, 2018 at 2:00 p.m. at Mathews Funeral Home. Rev. Chuck Smith will officiate. Interment will follow at Bertha Dozier Memorial Park Cemetery in Montezuma, GA.
Born in Montezuma, GA, Mr. Law had resided in Lee Co., GA most all of his adult life. 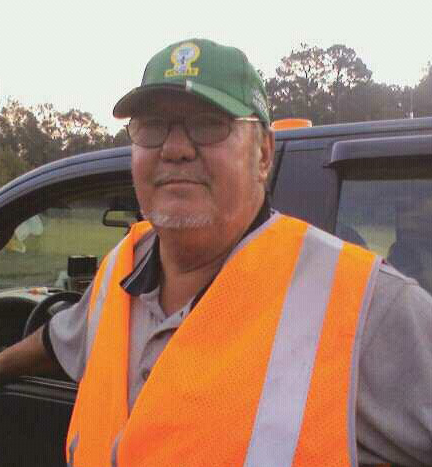 He was retired from Oxford Construction Company and was a member of Kinchafoonee Baptist Church. He was preceded in death by his parents, Artemus Lester Law and Jessie Louise Hinton Law. Survivors include his wife, Betty Law, Lee Co., GA, two daughters, Marie Law Kervin (Lorum), Albany, GA, Bunny Morris (Brian), Dawson, GA, a step-daughter, Cindy Kay Cummimgs, Leesburg, GA, three step-sons, J.R. Lumpkin, Worth Co., GA, Benny Lumpkin, Oglethorpe, GA, Tommy Lumpkin (Teresa), Lake Park, GA, ten grandchildren, six great-grandchildren, seven step grandchildren and two step great-grandchildren. The family will receive friends Wednesday from 6:00 p.m. until 8:00 p.m. at Mathews Funeral Home.